Welcome to the Sheen View Holiday Homes Kerry. The Sheen View properties are situated along the Kenmare Bay Estuary and just a 15-minute walk from Kenmare town centre. They comprise well equipped kitchens, living/dining areas and gardens. For more information or to check the availability of this Self Catering in County Kerry please click on the availability link above and below. 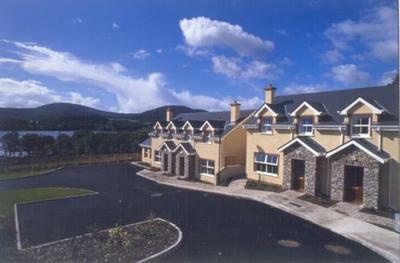 The Sheen View Holiday Homes is in Kenmare Kerry, Ireland. The address is Killowen Road, Kenmare County Kerry.